Garmin Sat Navs are among the best known satellite navigation systems on the market. Whether they’re on the road for business or pleasure, drivers love this Sat Nav brand for its ease of use, simple and clear interface, and wide range of useful features. Using Global Position Satellites (GPS), a Garmin Sat Nav helps you find the way from A to B easily, without the need for a map on your lap. Interactive touch screens, ranging from 4.3” to 6”, make navigation clear, safe and simple. You can opt for basic models that come with UK & ROI maps, right up to models that include full European maps. With every Garmin Sat Nav you’ll get free lifetime map updates, so your maps are always current too. 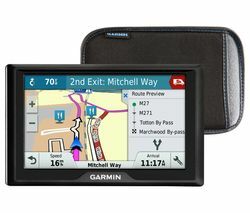 Garmin Sat Navs go beyond basic navigation with features like lane guidance to assist you into the right lane at junctions, live traffic updates to help you steer clear of traffic build-up, bluetooth connectivity for hands-free calls, and expandable memory so you can add more maps later if you’re going to be driving overseas. 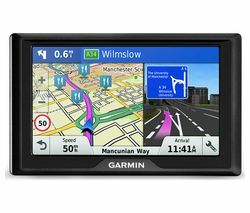 Whether you’re someone who drives for a living, likes to drive on holiday, or you're just looking for a safe, hassle-free way to navigate the roads at home, Garmin Sat Navs are ideal.